Dan is a Partner and the Chair of Preti Flaherty's Government Affairs Group. He focuses his practice on advocating for clients before the Maine Legislature, the Executive Branch and other state and federal governmental agencies. Dan focuses his practice on regulatory issues, including election and campaign finance law, having represented many elected officials including a former Governor, PACs and campaigns. He represents the statewide association of private non-profit colleges and universities. He also represents the largest medical marijuana dispensary in Maine and has several gaming clients, including a Maine-based casino. Dan has extensive knowledge of the citizen initiative process, having taken clients successfully through this process to business formation. Prior to joining Preti Flaherty, Dan served as Legal Counsel to the Speaker of the Maine House of Representatives, advising on constitutional, procedural and policy issues. 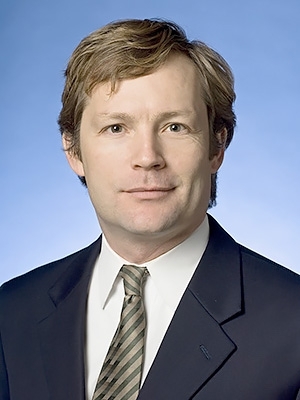 He also completed two clerkships with Judges Gregory K. Orme and James Z. Davis of the Utah Court of Appeals, and formerly practiced as an associate with the litigation group of a Utah-based firm, where he represented Microsoft for two years in Caldera v. Microsoft, a private antitrust case.